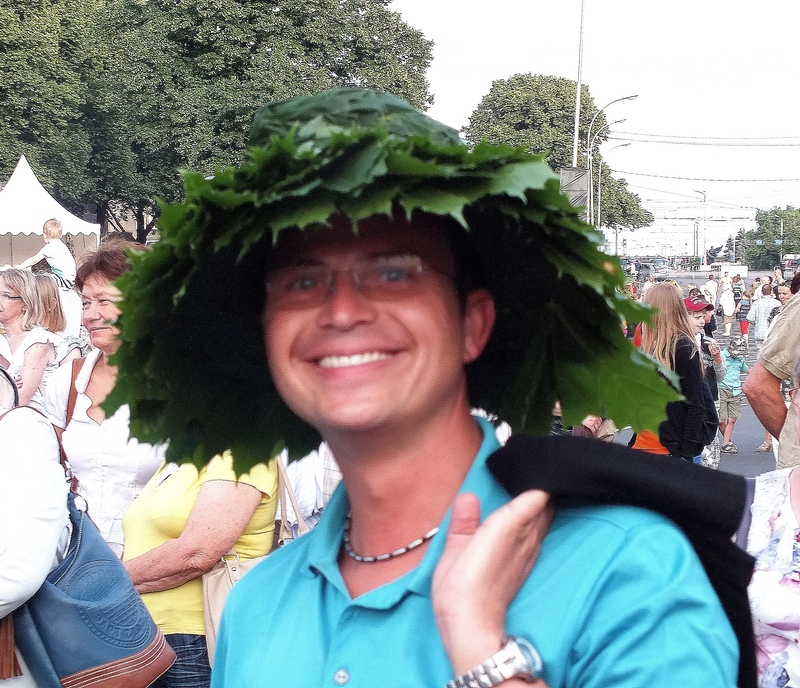 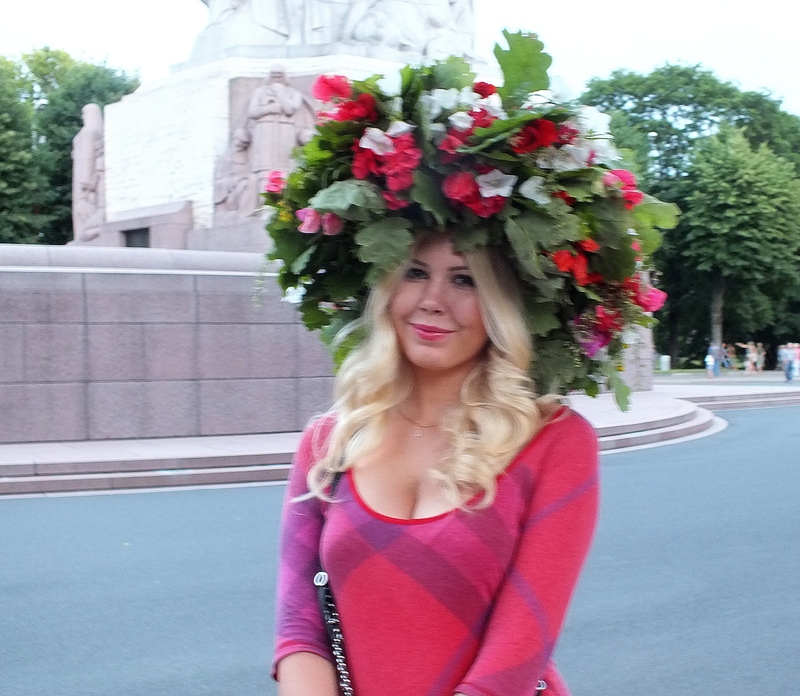 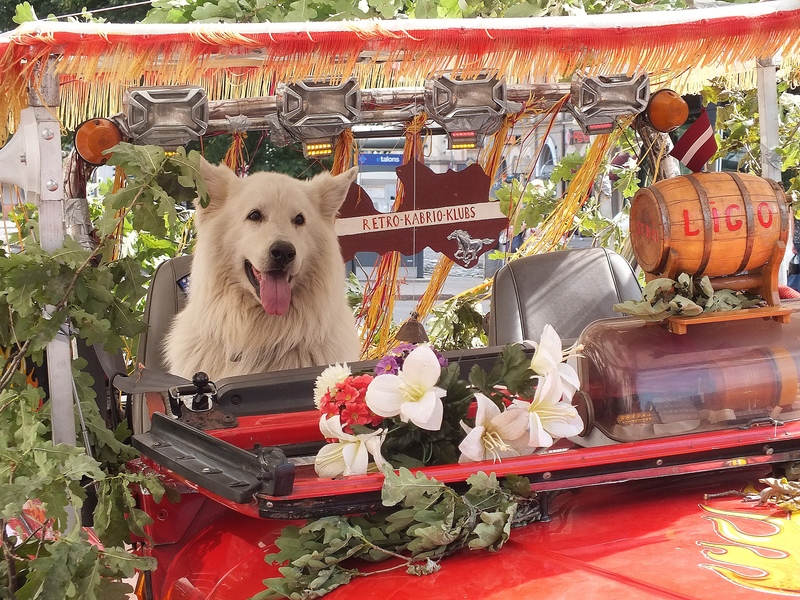 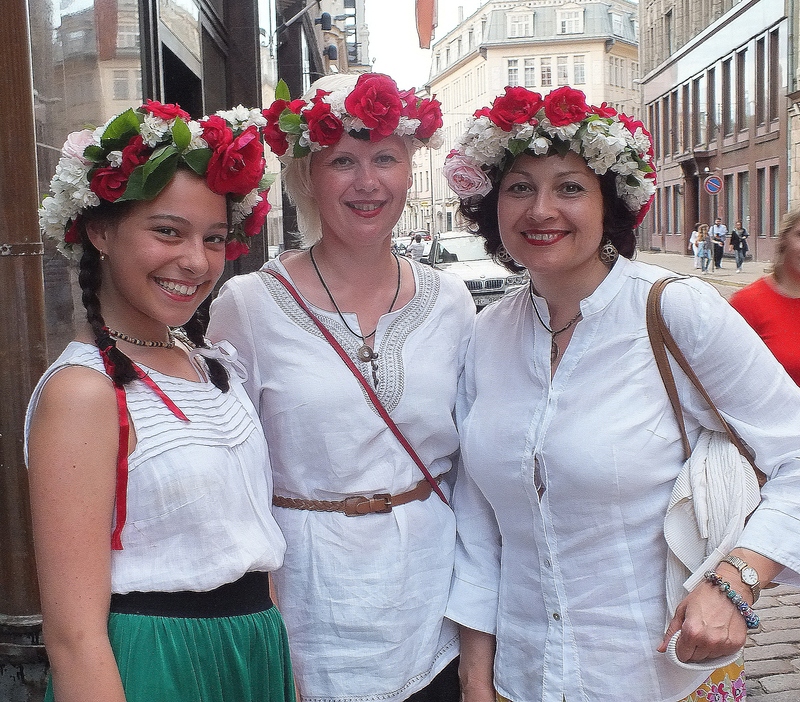 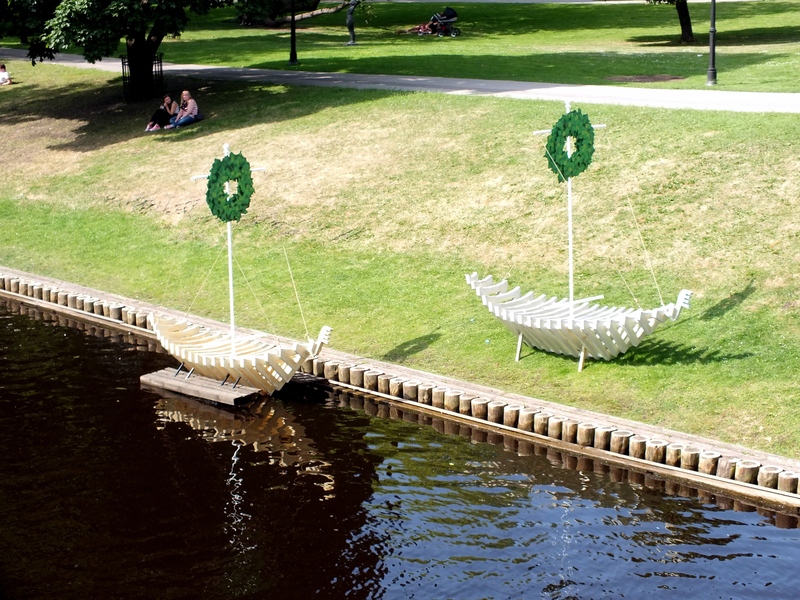 Celebration of the traditional Latvian pagan Līgo! 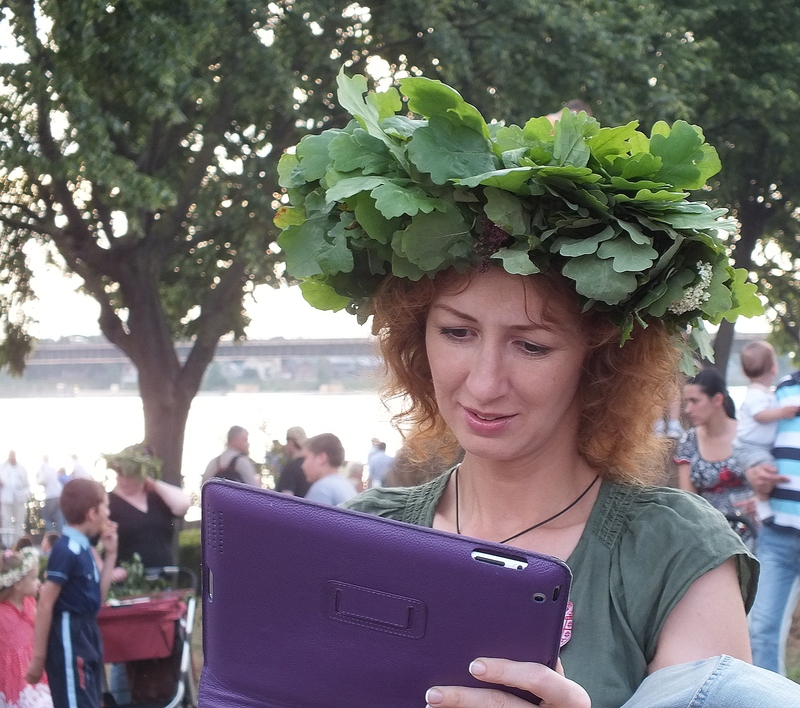 Festivity at the shortest night of the year dates back centuries, and its main idea is to praise the nature and fertility. 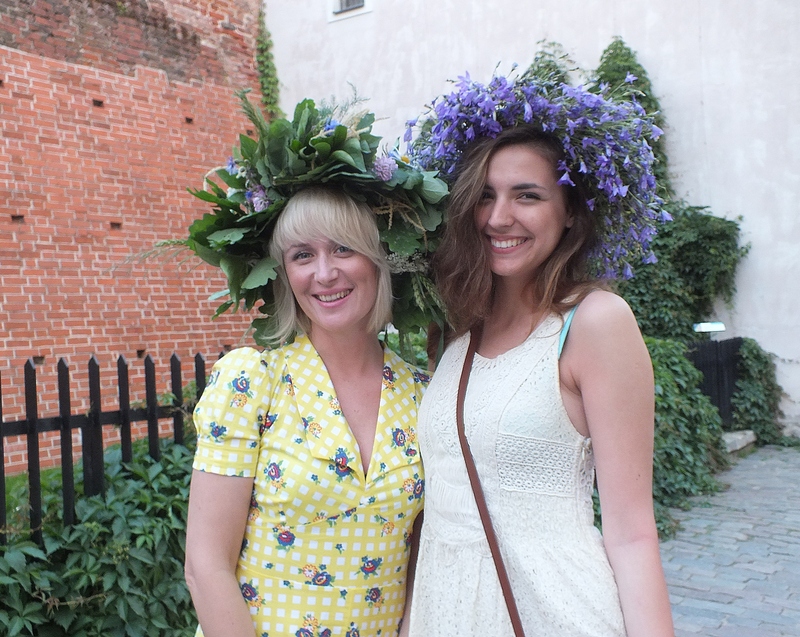 Bonfires, beer, caraway cheese, flower crowns, and Līgo! 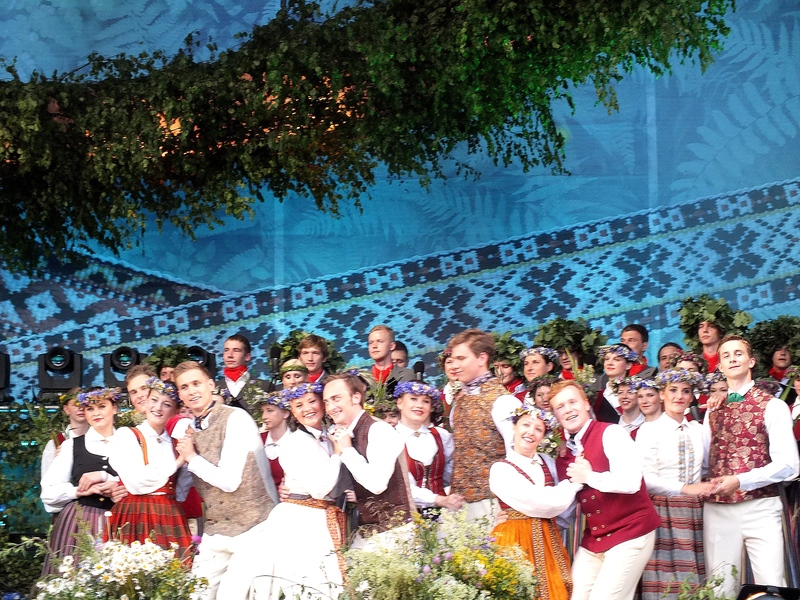 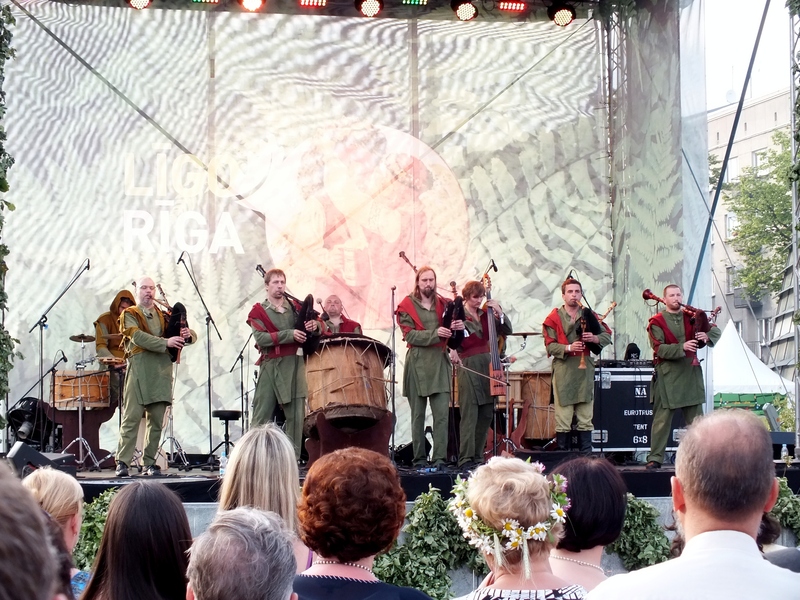 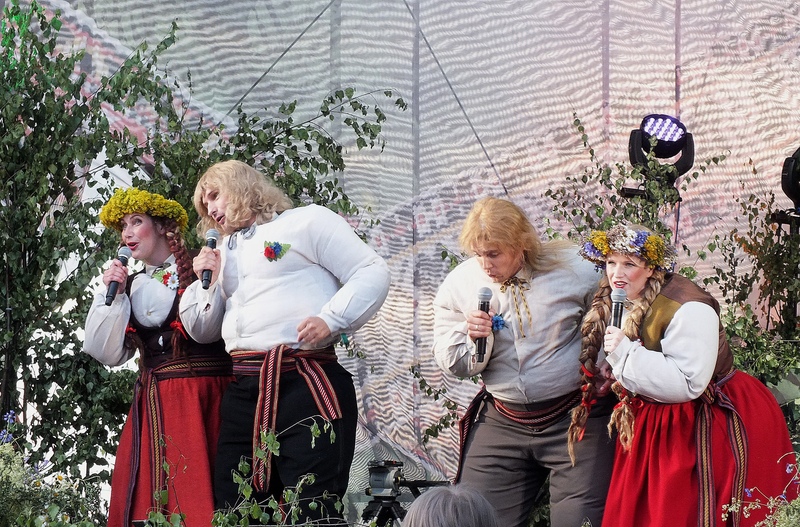 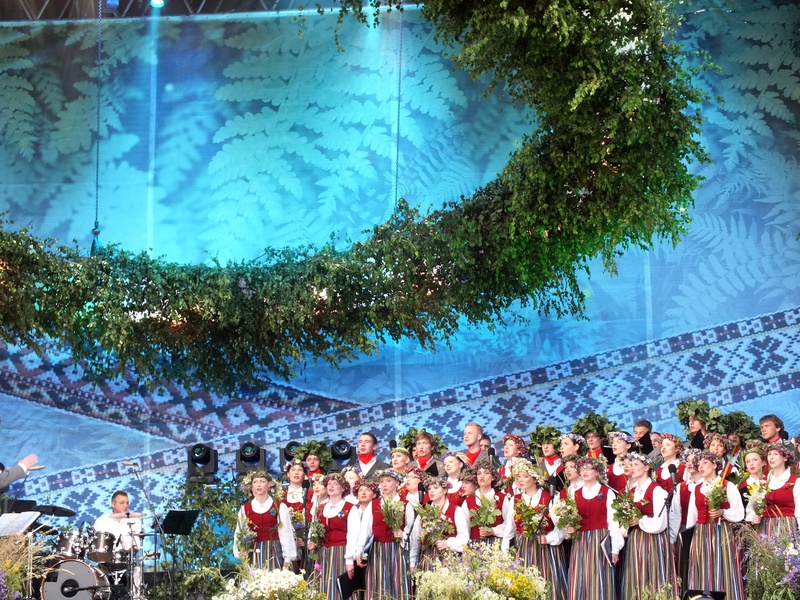 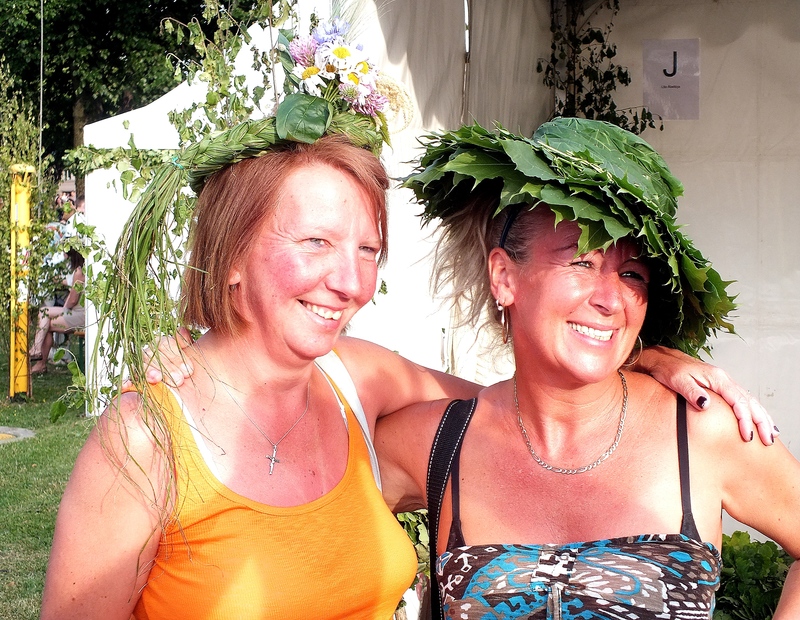 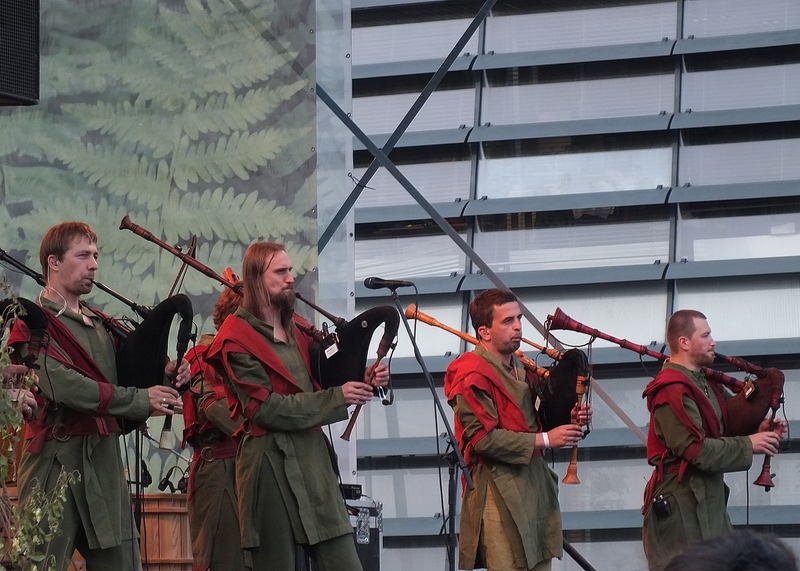 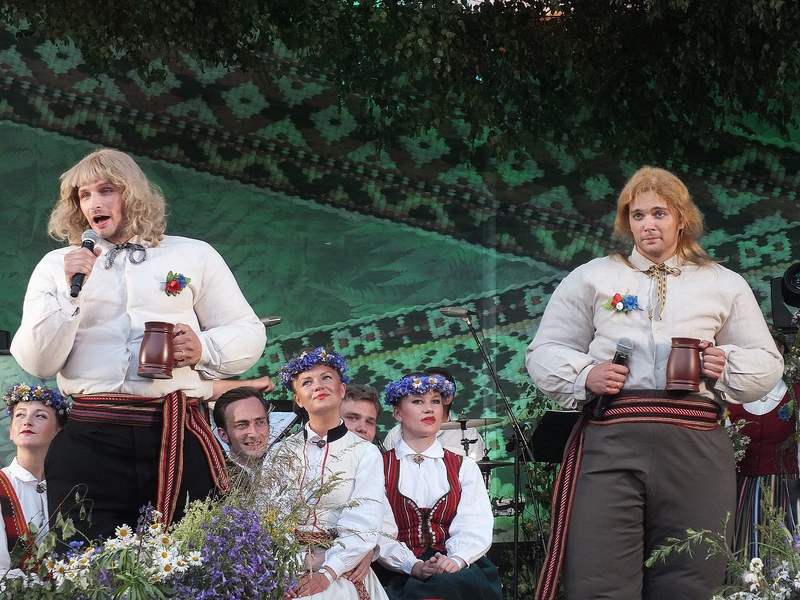 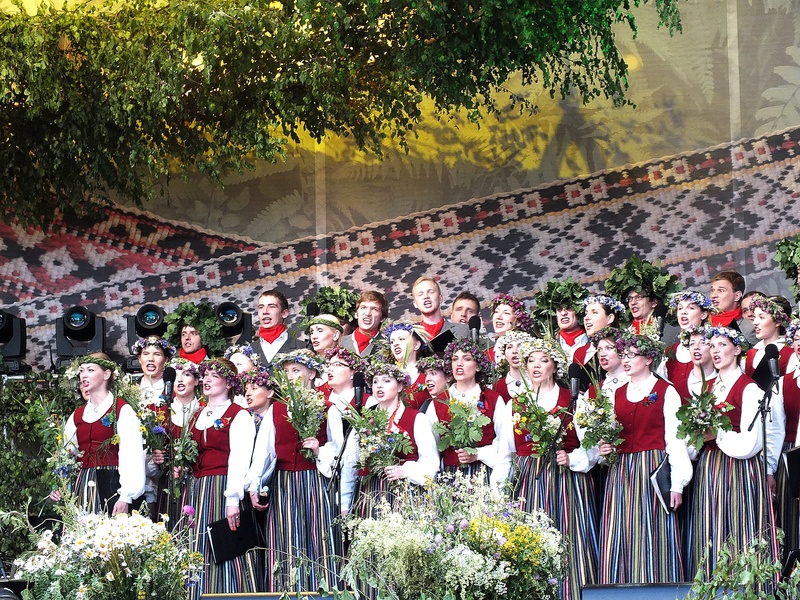 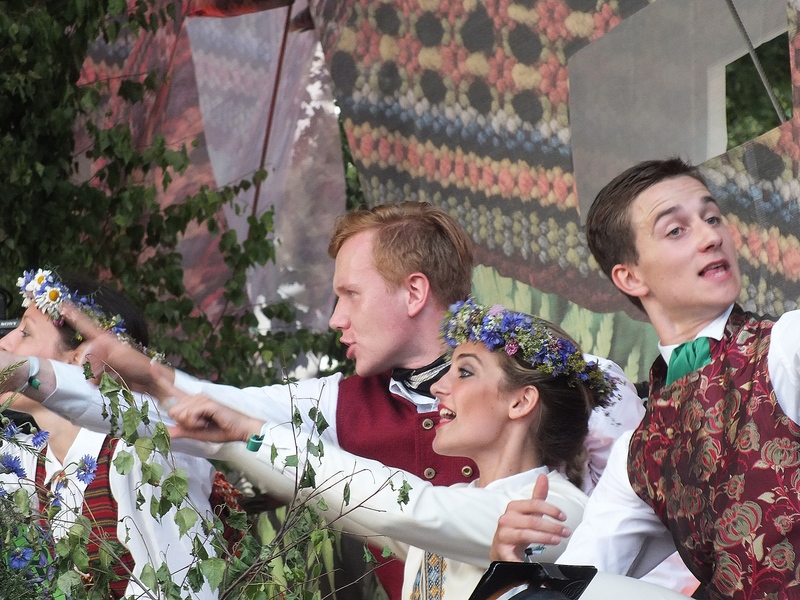 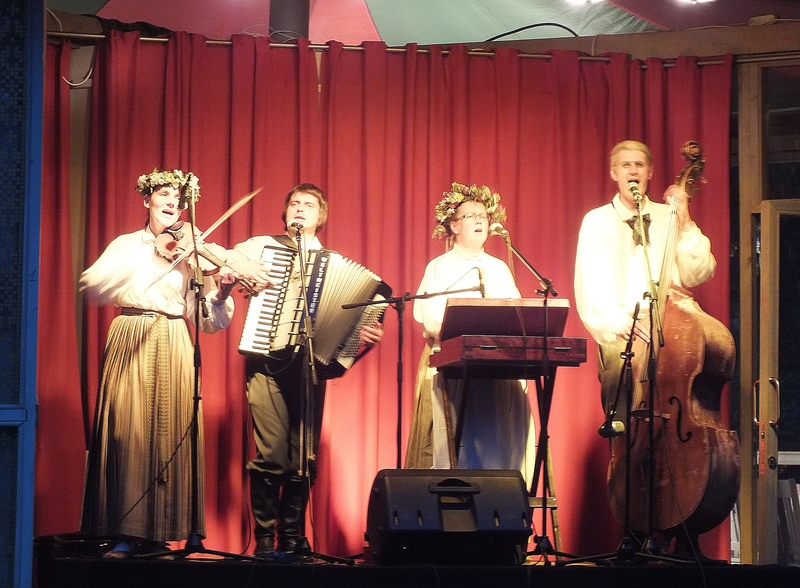 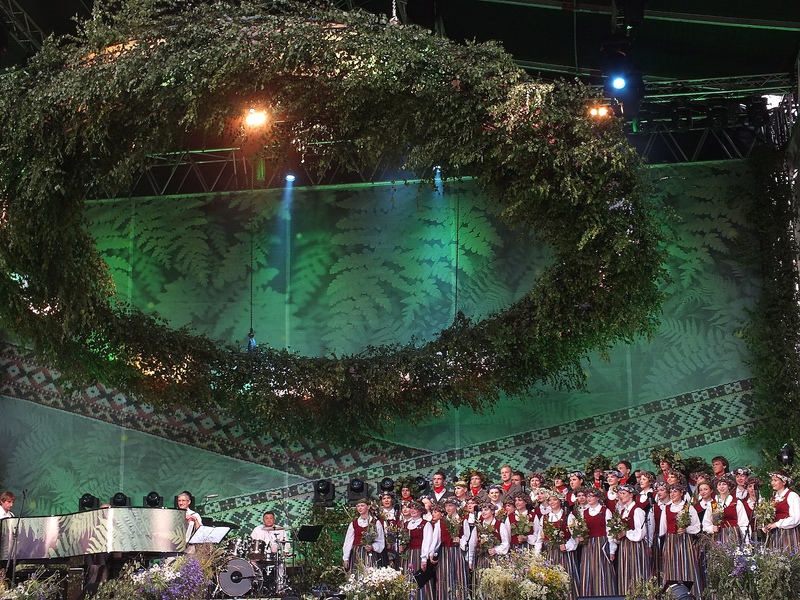 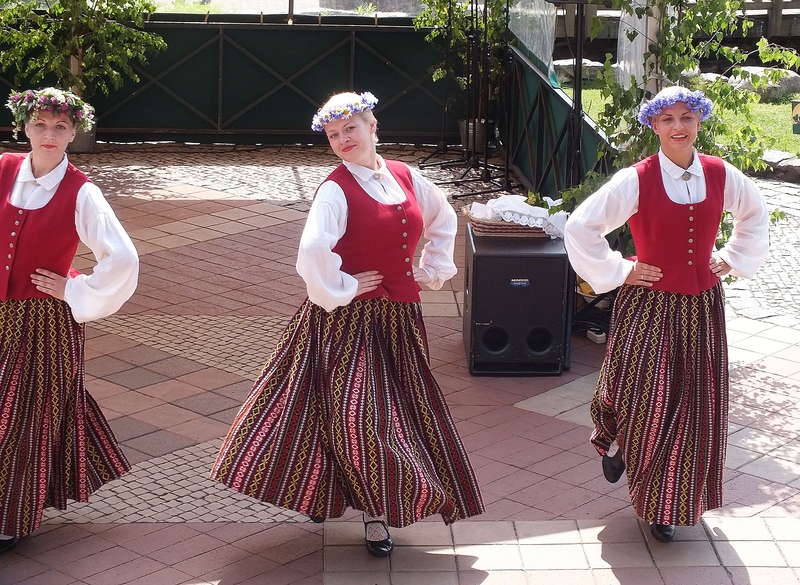 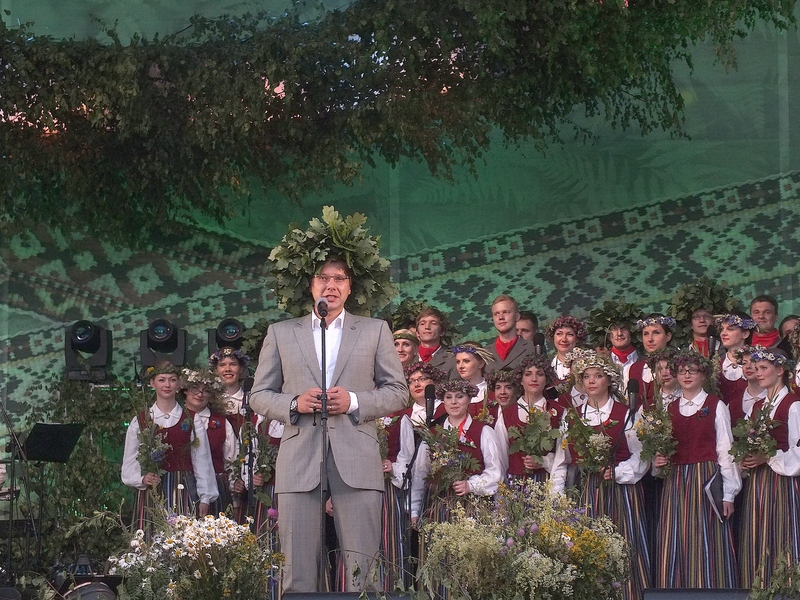 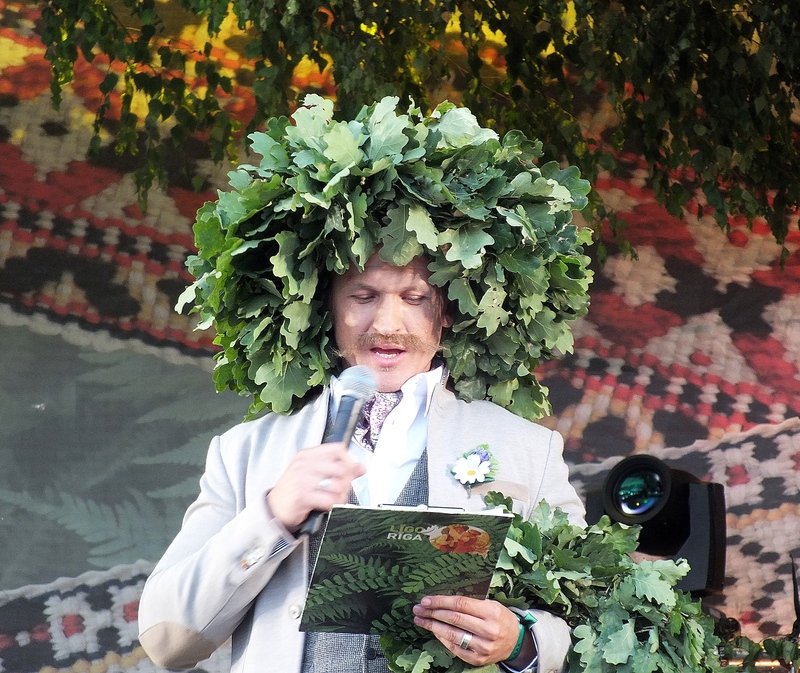 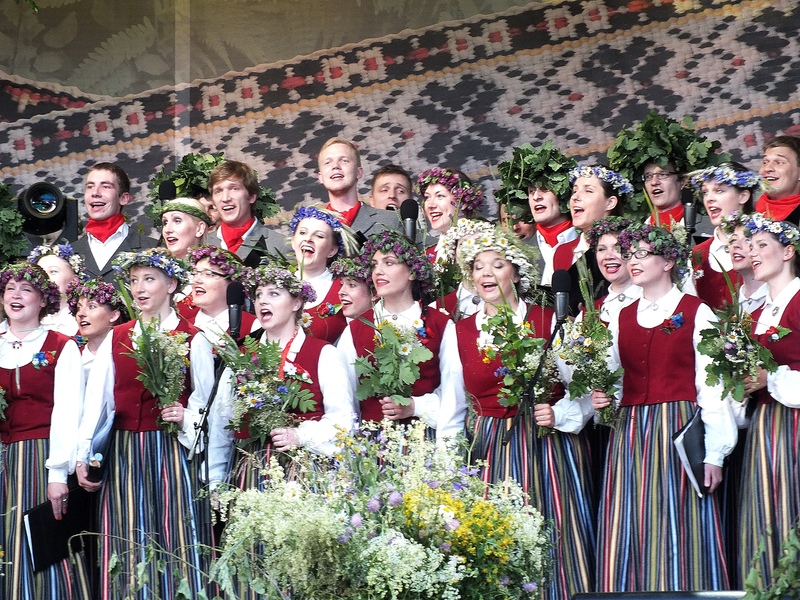 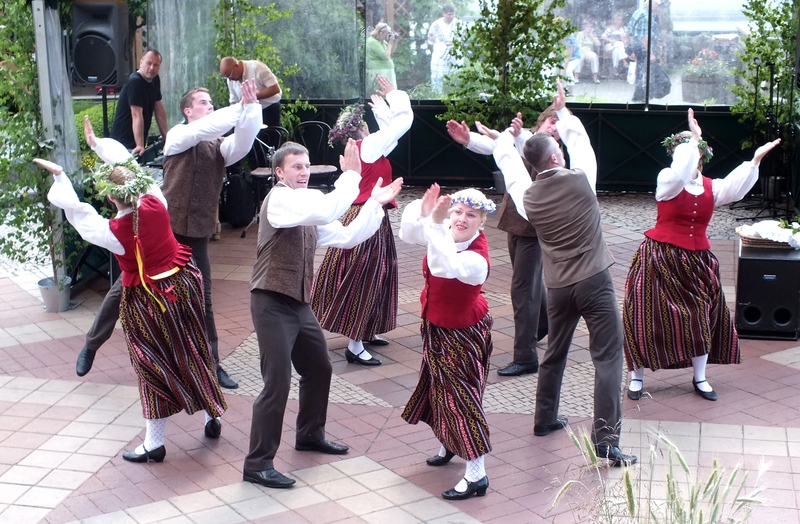 Songs are the key features of the Latvian Midsummer festival. 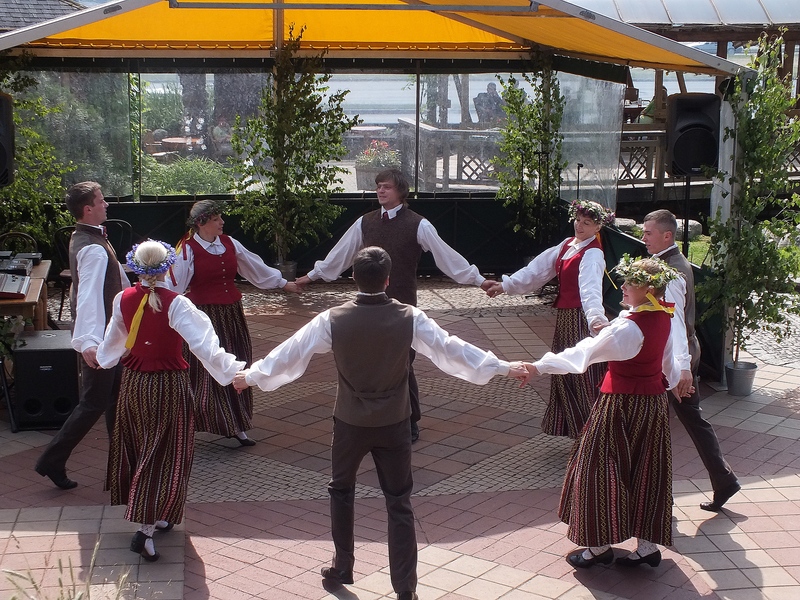 Jāņi Day. 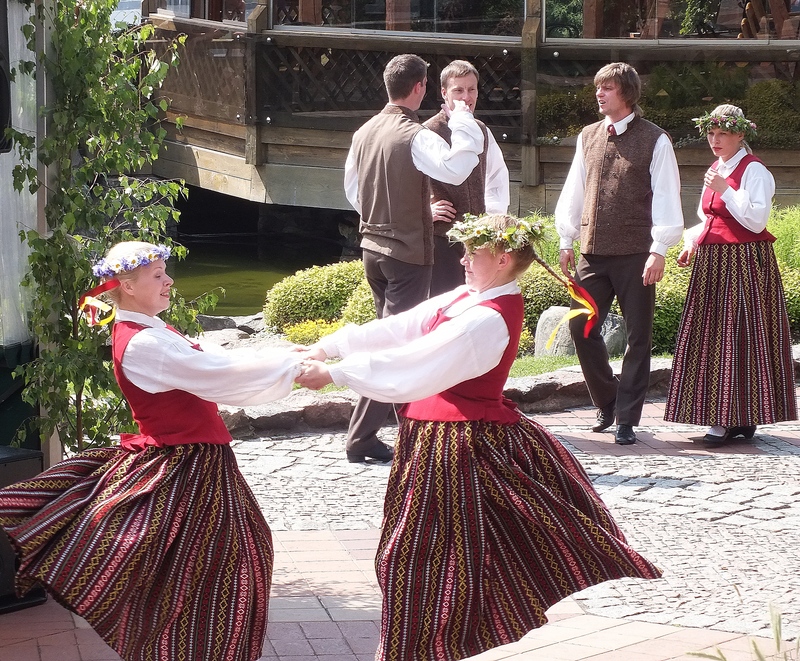 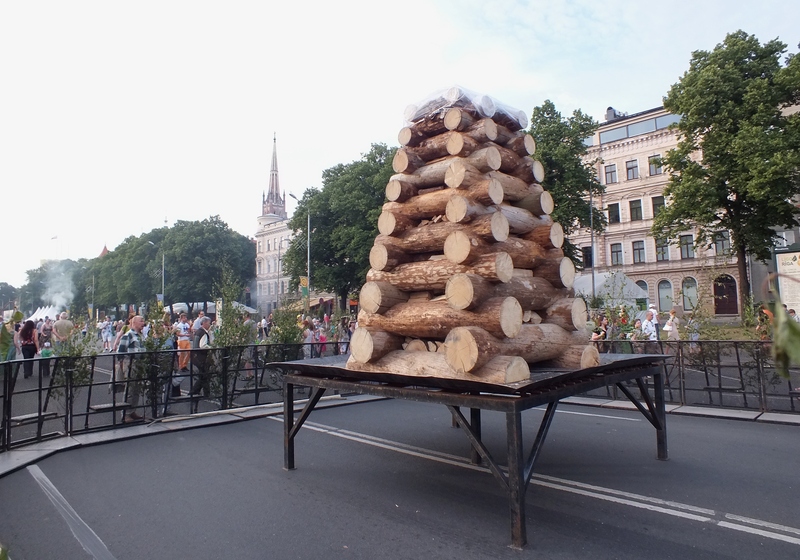 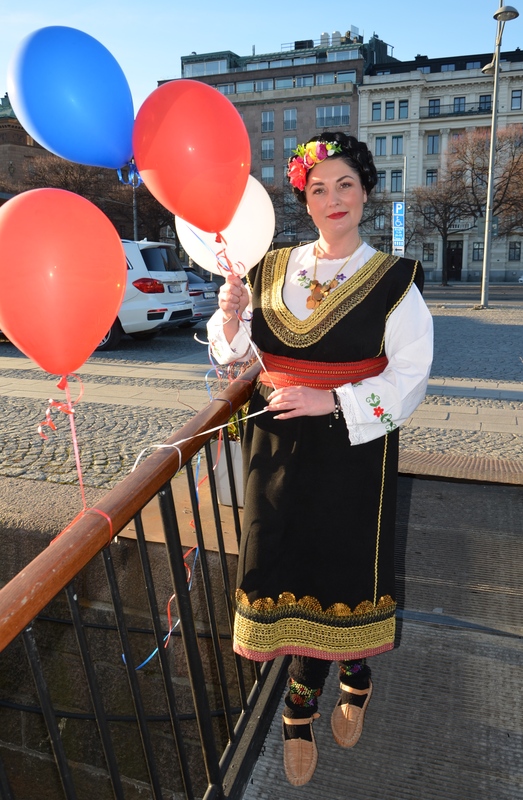 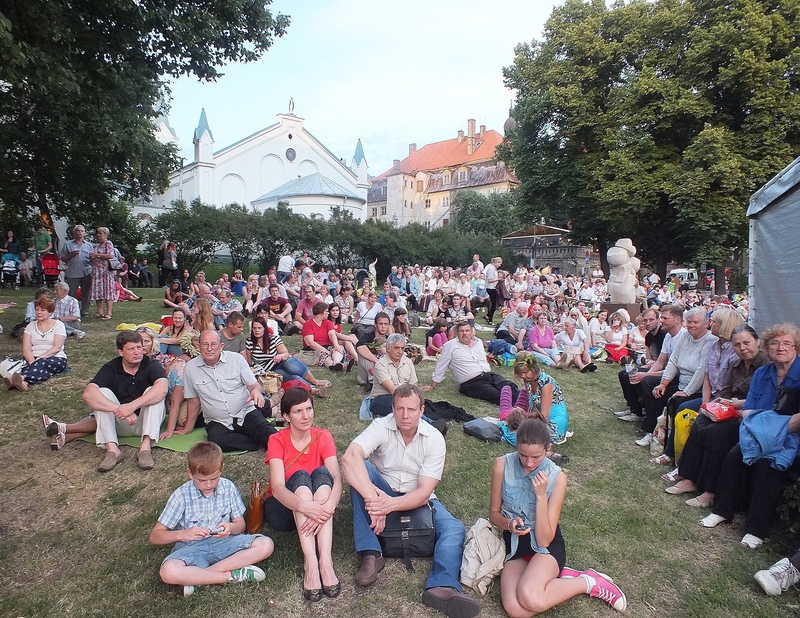 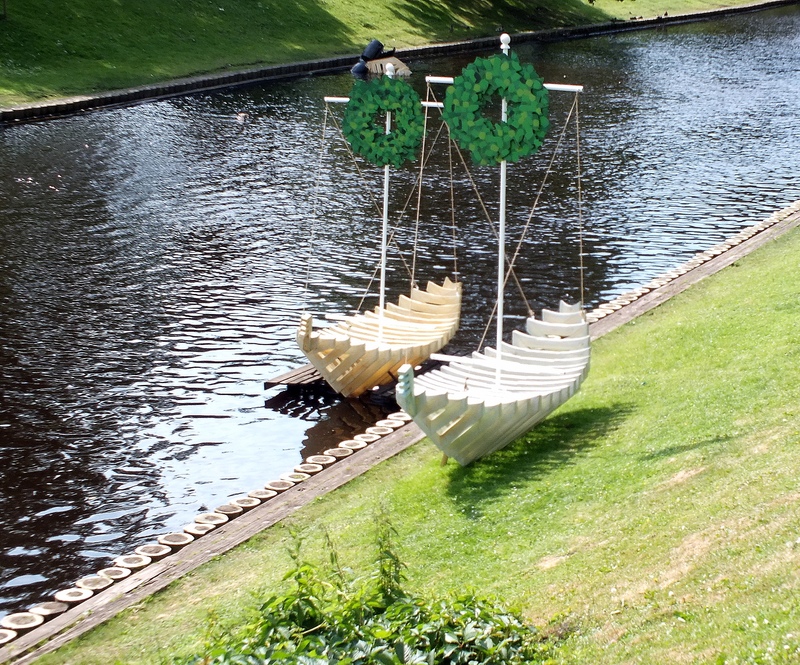 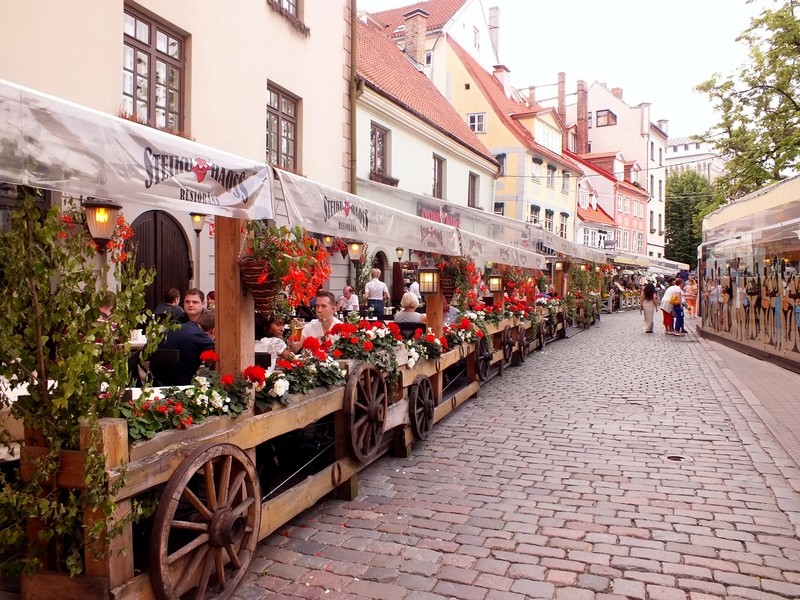 A large-scale celebration will take place in the Old Riga, by the Daugava River, on 23 June, 2013. 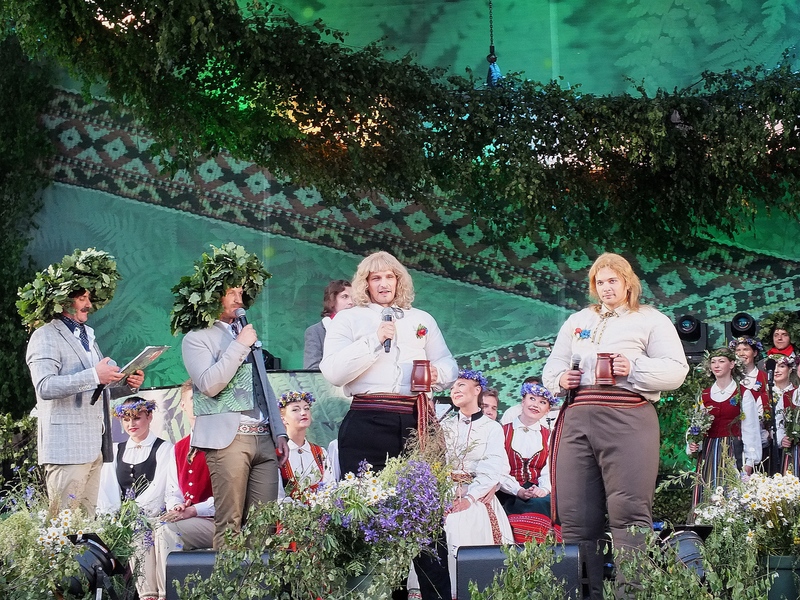 The embankment had everything that was necessary to celebrate Līgo – the tastiest of foods, the knowingest of folk songs, favourite artists and responsive people, ready to succumb to the magic of Līgo night. 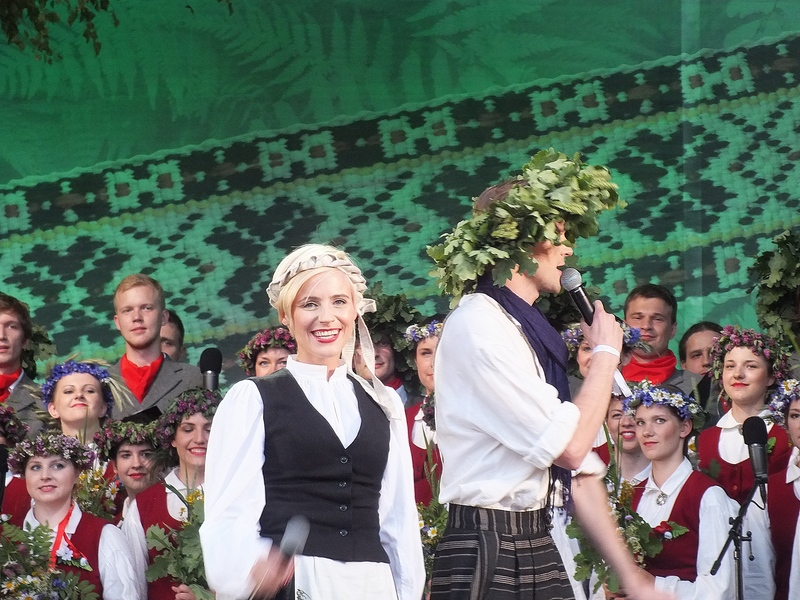 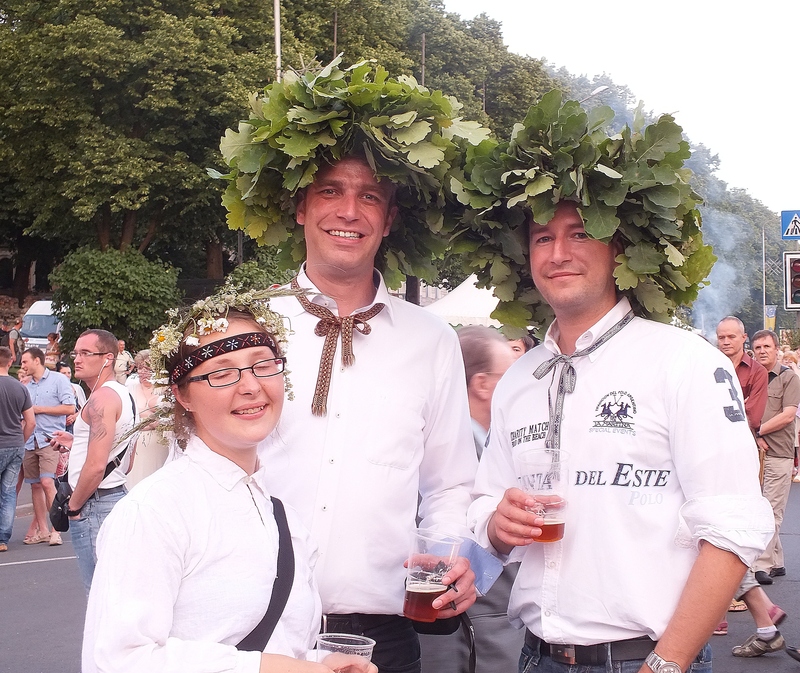 There was games, various Latvian rituals, dances, songs, cheese and beer. 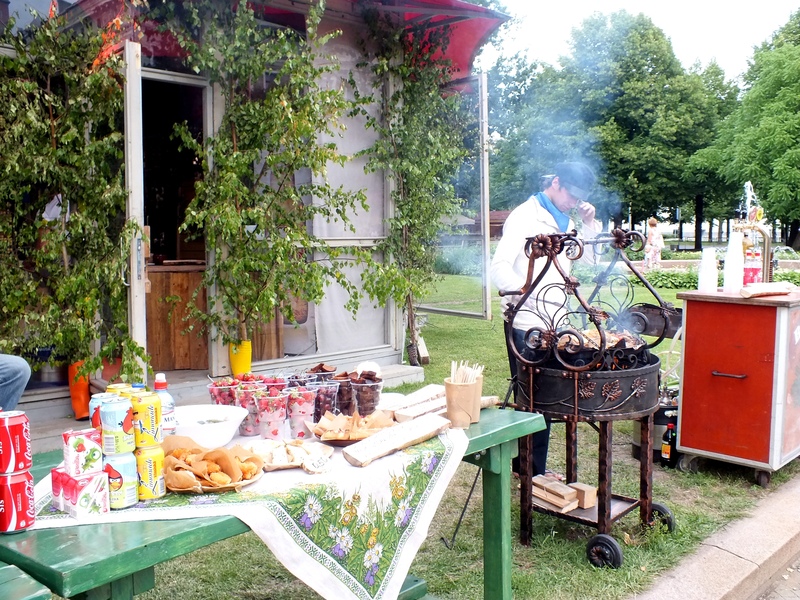 It was also be possible to find out where it is best to search for the fern blossom, savour frothy beer, cheese as yellow as the sun, and sweet-scented bacon buns. 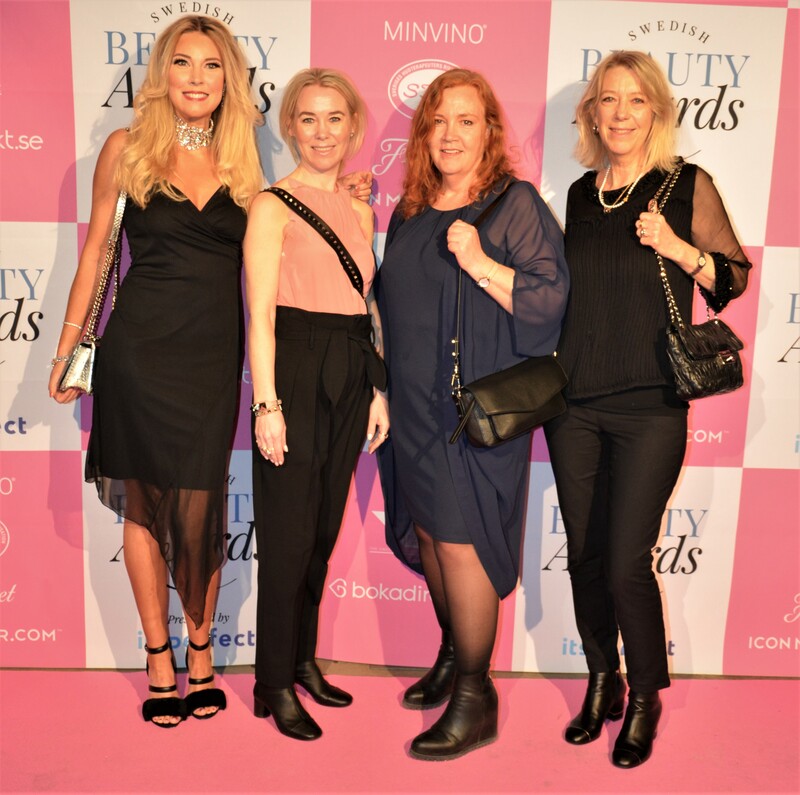 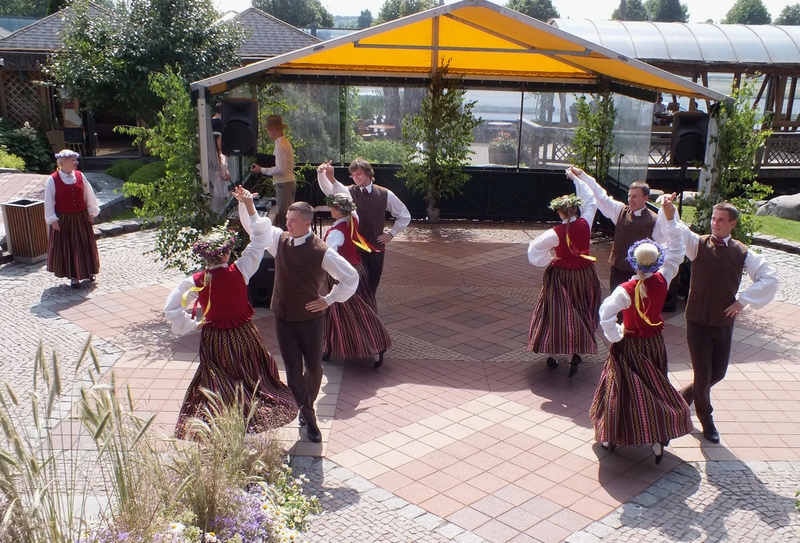 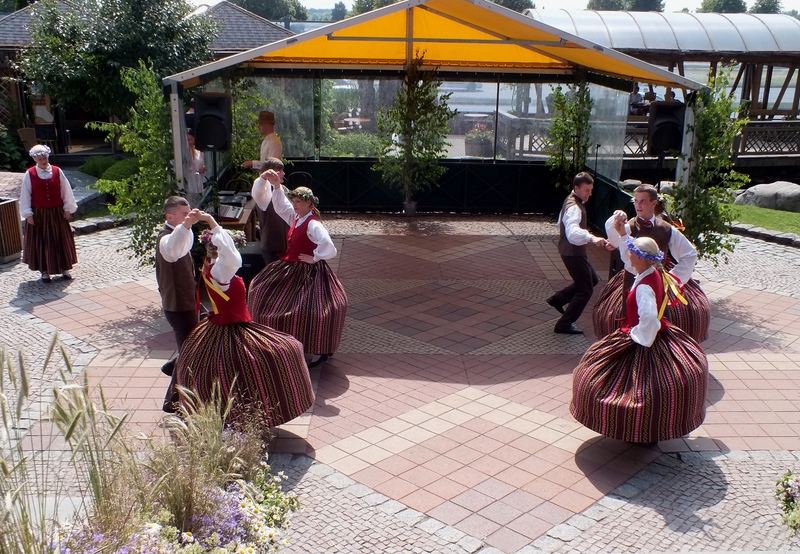 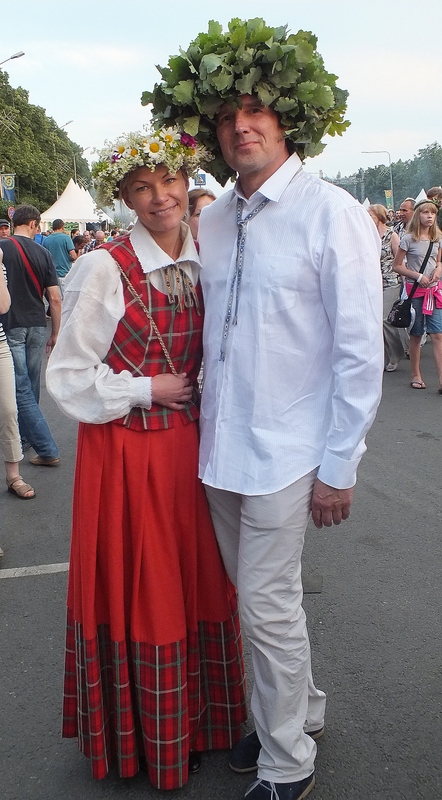 Various folk ensembles, pop musicians and bands – from rock music to schlager performed during the festivities.